What Can Seth Wadley Ford Of Perry Help You With Today? Need a little guidance when it comes to figuring out how best to tackle your automotive situation? 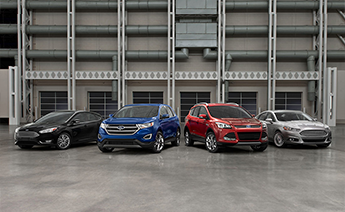 Then you need to connect with the team of Ford professionals awaiting you at Seth Wadley Ford Of Perry. Whether we are helping you learn more about the great new Ford cars found at our convenient Perry location or offering up the inside track to the largest selection of parts and maintenance, we have no doubts that the outstanding group of Ford experts at Seth Wadley Ford Of Perry have what it takes to help you tackle these tough decisions. Interested in learning more about which team has what you need from your next trip to Seth Wadley Ford Of Perry? Then make it a point to join us as we point you in the right direction and help you connect with the right team of trustworthy Seth Wadley Ford Of Perry professionals. On the subject of new and pre-owned car sales, our sales department is clearly second to none in the Perry area. From bringing you up to speed with all of the latest selections from Ford to helping pair you up with the right pre-owned vehicle (be it a Certified Pre-Owned Ford or an offering from another automaker) that caters to your specific situation and budget concerns, we can provide you with the insight you require to make a strong decision. Whether it is time to rotate your tires or you could use a little help sorting out your car after an sudden wreck, Seth Wadley Ford Of Perry wants you to know one thing: we are the leading name in outstanding service that is efficient, affordable, and always handled by trained Ford mechanics. Do you have a car that is from another automaker? Then that is not an issue. The outstanding team of vehicle restoration professionals here at Seth Wadley Ford Of Perry are excited and prepared to handle your service needs – regardless of the type of vehicle. If you would rather handle a repair on your own, then now is the time to reach out to one of the trusted parts advisors on the Seth Wadley Ford Of Perry parts staff. From original equipment manufacturer (OEM) Ford parts to a vast inventory of other items that can help you tackle the service or repair needed on virtually any vehicle possible, we have no doubts that the part you need is here for you now in our parts department. Of course, stopping by for the right part at Seth Wadley Ford Of Perry is about going beyond just having access to the largest selection in Perry. By bringing your business to us, you will also have the opportunity to enjoy the best prices in town, in addition to a steadfast commitment to welcoming and no-stress service. Did we not answer all of your questions? Then let us know! Seth Wadley Ford Of Perry is always excited to hear back from our respected customers, so feel free to give us a call if you have any questions, comments, or concerns that you want us to handle. We will be on hand to offer up as much info as possible as we help you work your way through whatever automotive issue that is currently facing you down. Now that you are caught up on the most effective ways to connect with the Seth Wadley Ford Of Perry team, as well as what each of our departments can offer to valued customers such as yourself, there is really only one thing left to do: give us a call! We look forward to connecting with you soon and ensuring that your time spent at Seth Wadley Ford Of Perry is the best it can possibly be.